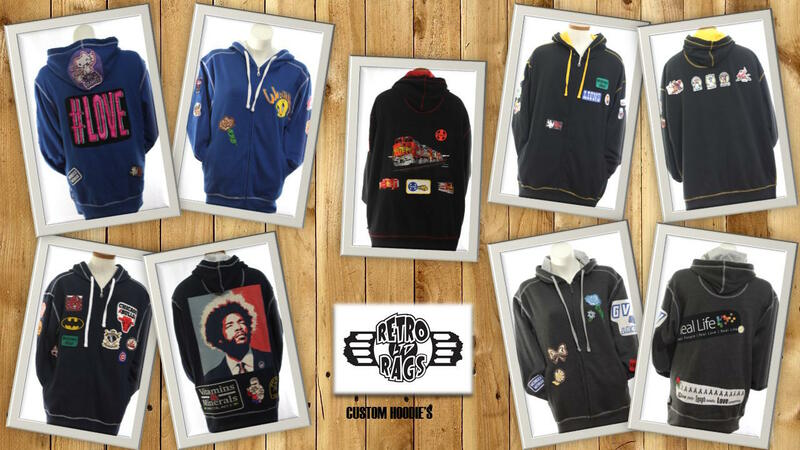 A custom hoodie from Retro Rags Limited is a great way to tell your own story. Using patches or cut outs from your favorite t-shirts we can create a one of a kind hoodie that allows your favorite memories to live on. Check out the gallery to view the journey of all our custom hoodies, or create your own!